The JW Carrigan, LLC team values their client relationships and focuses on fostering strong and lasting business partnerships. For over 6 decades, JW Carrigan’s commitment to their large customer base (many Fortune 500 companies) make us the opportune choice for those requiring the highest quality electrical services in New Jersey, Philadelphia and Delaware. Our teamwork and dedication is a testimony to our long-term pledge to our valued customers. 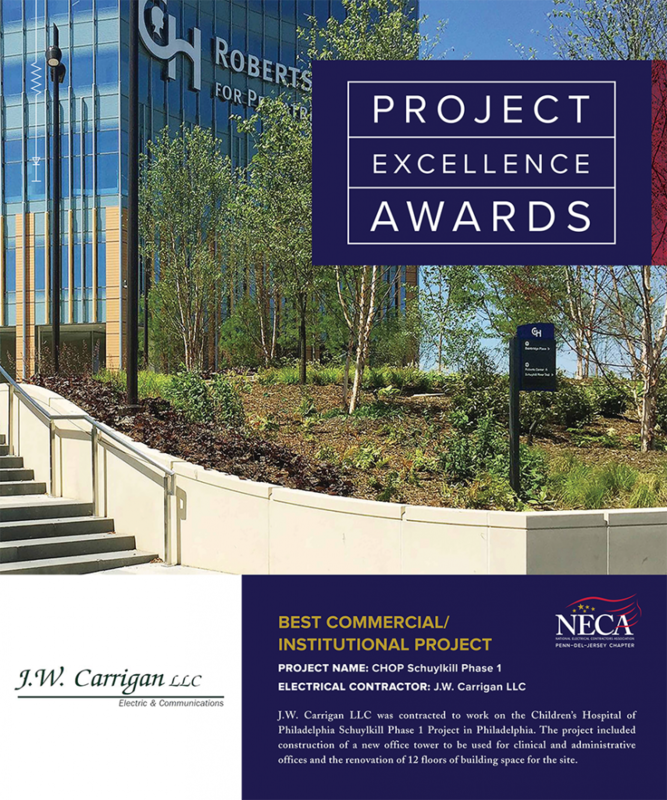 JW Carrigan, LLC is dedicated to providing our customers with a quality product, completed on time within budget and with safety always at the forefront of every project. We work hard every day to build long term relationships and deliver first class service. JW Carrigan, LLC takes their commitment to ethical behavior seriously and strives to conduct their business professionally and adhere to the highest standards of integrity and fairness. Our Code of Conduct applies to all company employees, subcontractors and anyone acting for or on behalf of JW Carrigan, LLC. All employees routinely complete ethics and compliance training to ensure we maintain a high business standard.